Do not miss this stellar tribute to The Carpenters, the biggest-selling soft-rock group of the ’70s. If you were a Carpenter’s fan, this concert will make you smile, sway and want to sing along. 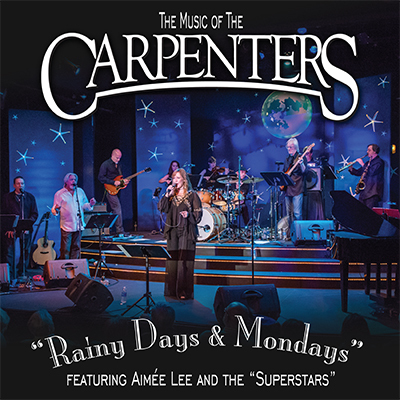 Aimée Lee, the quintessential “Karen,” is backed by 12 musicians and back-up singers who perfectly re-create that classic Carpenters sound you remember and love. Featuring favorite classics “Close To You,” “Yesterday Once More,” “We’ve Only Just Begun,” “Mr. Postman,” “Superstar,” “For All We Know” and many, many more! Book early — this favorite sells out in a flash. Do not delay!